Welcome to the Honey Bun Cake Factory! The Honey Bun Cake Factory’s (HBCF) mission is to provide our customers with great-tasting, premium honey bun cakes, while offering excellent customer service. Our purpose is to become America’s number one favorite cake. 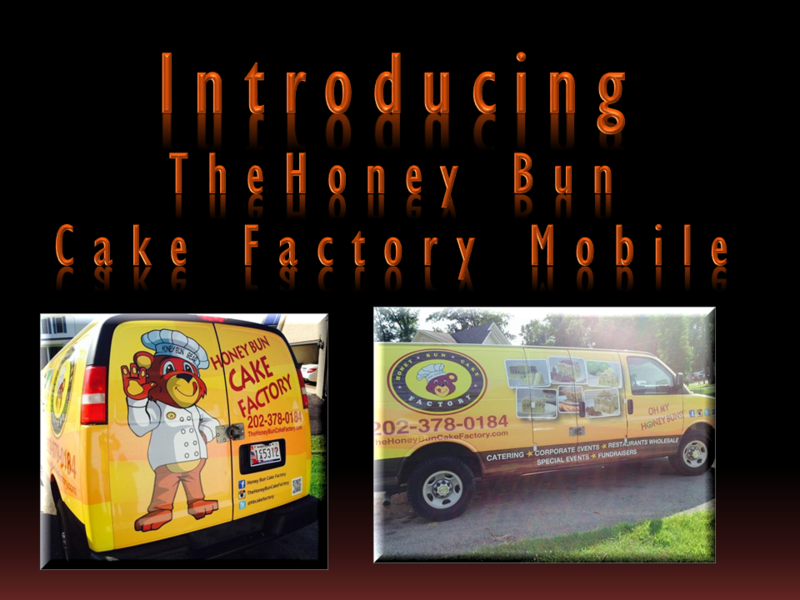 We are the only cake company in history that specializes in baking different quality flavors of honey bun cakes. Even though most of our business is on the East Coast we are ready to take the world by storm. In April 2012, HBCF was founded in the Washington DC Metropolitan area by the husband and wife Team of Anthony and Tisha McFarland. The founders and business owners have taken time to capture a cake recipe that was originated by the families of North Carolina and developed it into several wonderful flavors. There is no other cake company, restaurant or individual business who can offer different flavors of honey bun cake. The founders of HBCF created all of the original honey bun cake recipes, each flavor being unique and appetizing. HBCF can provide catering services to: restaurants, holiday celebrations, corporate functions, family gatherings, fundraisers and any other occasion. We're looking forward in serving you with fresh, extra moist cakes that'll make you say, "Oh my honey buns!!"